This is solely for matters relating to this website. Please do not use this email address for Ki Federation administration enquiries that should be directed to the office (see below). 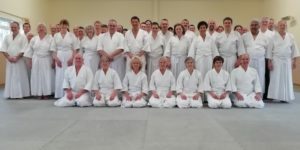 If you have an a general enquiry concerning Ki Aikido, or wish to contact the Ki Federation of Great Britain, please click here. If you wish to start Ki Aikido, please contact the teacher in your chosen area. To find a club in your area please click here.